The EL-506TS performs over 470 advanced scientific functions and utilizes a 2-line display and Multi-Line Playback to make scientific equations easier for students to solve. It is ideal for students studying general math, algebra, geometry, trigonometry, and calculus. In addition, it can be used for statistics, biology, chemistry, and physics. 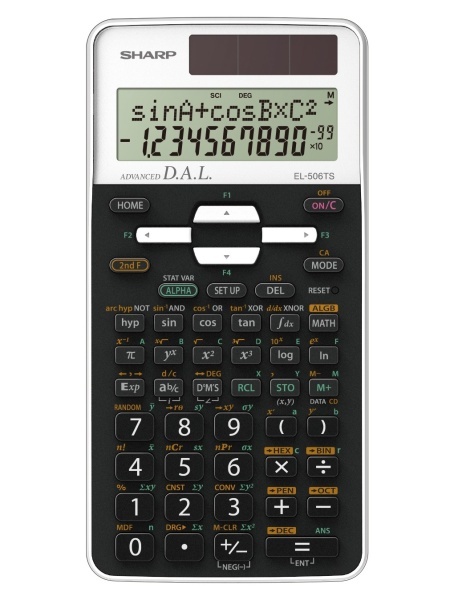 Flexible, advanced, and despite its 470 functions still easy to use, this scientific calculator covers all the needs of daily school and university demands!